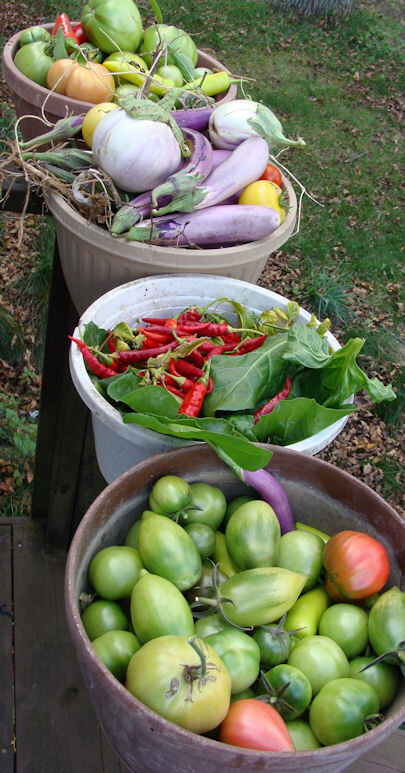 Cooking in someone else's kitchen: Last harvest? Great harvest! I have been freezing eggs that are currently surplus so that we will be ready for the molting/reduced production phases they go through. Those full baskets of produce look great. 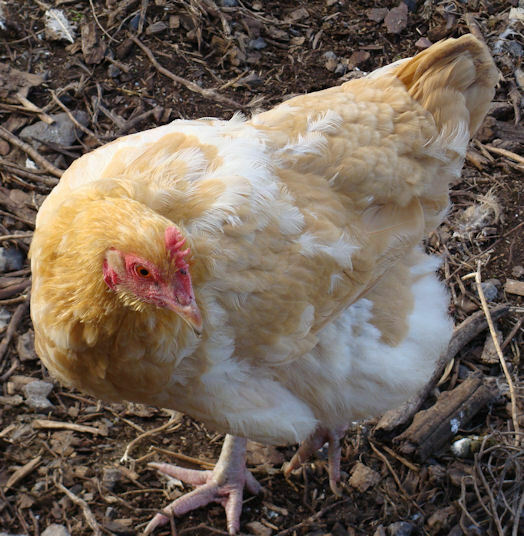 I loved you use of the word piebald in describing the chicken. I'd only heard the word in C.S. Lewis' Perelandra (Audio book version), and so seeing it in print made me look it up and understand why the woman character calls Ransom 'Piebald' when he is half sunburned and half pasty white. My girls are molting now also, and to say mine look scruffy is being kind. I hope your girls get to laying soon, those store bought eggs just don't compare. 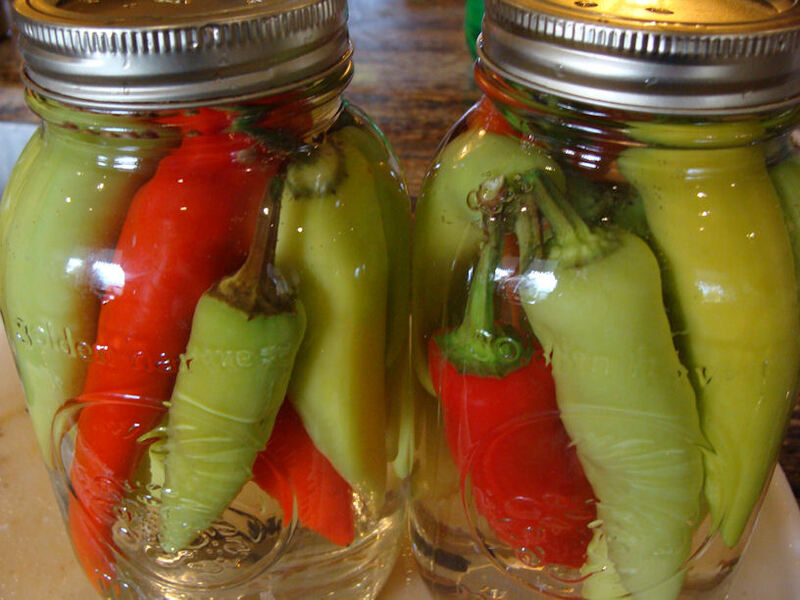 Have you got a recipe for the pickled chillies? Emily - it's a great word, isn't it? Caralin - the recipe was from http://www.davidlebovitz.com/2009/04/pickled-peppers/. what a huge harvest, so much preserving to do. Pickled whole hot peppers, that sounds interesting! I love the beautiful color of your chicken! Those pickled peppers look just delicious. I don't have chickens, but buy mine from the farmers market. I'll be really sad when all the markets are closed and I can't get any more. Store bought just isn't the same.